Harman Professional today announced the promotion of Scott Robbins from Senior Vice President of Sales, Crown Audio to group-wide Vice President of Sales with the specific mandate to work with brand-level sales executives to strengthen existing sales operations and to grow Harman Professional’s sales presence in emerging markets. Today’s announcement was made by Michael MacDonald, Harman Professional Executive Vice President of Marketing & Sales, to whom Robbins reports. 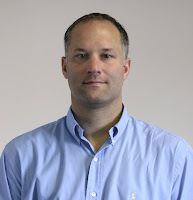 Scott Robbins holds a bachelors degree in Organizational Management and joined Crown Audio’s service department in 1987. He was progressively promoted to more senior sales positions within the company. During this time, he helped grow the sales in all geographic and vertical markets and was responsible for organizing and managing sales partners across the globe. An early initiative that Robbins will spearhead will be the successful start-up of Harman Professional’s new sales offices in Kuala Lumpur, Malaysia and San Juan, Puerto Rico. In a large-scale event that demonstrates the ability of JBL VERTEC® line arrays to provide even coverage and high output in the most acoustically challenging outdoor venues, rental sound company LP Unlimited Productions provided the sound reinforcement system for a major regional religious event, “Loftus For Jesus,” held at Loftus Stadium in Pretoria, South Africa. The event featured some of the world’s most prominent Christian leaders and drew a crowd of more than 70,000 people—the largest crowd ever assembled in the outdoor sporting facility. The sound reinforcement system was required to cover the entire outdoor venue, using temporary staging and ground-support structures. Having been awarded the contract for sound reinforcement services at the upcoming major event, LP Unlimited Productions worked together with JBL's distributor for South Africa, Wild+Marr, to plan for rental-system expansion with new JBL VERTEC line array system components. The technical production team evaluated the stadium architecture and advance audience-area plans, relying upon JBL's Line Array Calculator software tool for system configuration decisions. 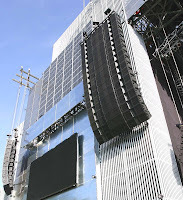 It was decided to employ a total of 28 VT4889-1 full-size line array elements, 32 VT4888 mid-size line array elements and 34 VT4880 full-size arrayable subwoofers to implement the event system design. For the event, which served as the inaugural outing for LP Unlimited's new full-size VERTEC system elements, the setup included two main left/right arrays, each made of 14 VT4889-1's. Out-fill arrays each included seven VT4888 loudspeakers and eight VT4880 arrayable subwoofers. An 18-box center ground-stacked subwoofer array was set up for ultra low-frequency support, using 18 VT4880 subs. This center VLF cluster was configured as a steered array, with a 120-degree, figure-8 polar response coverage pattern for the main audience area on the field. Side subwoofer arrays of VT4880's augmented low frequency coverage on the far side seating areas at both pavilion ends, as well as areas behind the stage. In addition, three signal-delay towers, each comprising six VT4888 mid-size line array elements, were in use at the rear of the massive stadium. All JBL speakers were powered by Crown I-Tech amplifiers, and four dbx 4800 DriveRack loudspeaker management systems were in use with one unit dedicated as a multi-zone matrix and audio distribution device. Harman HiQnet™ System Architect Software provided remote control and monitoring of the signal processing and amplification. "This was our first large-scale deployment of the new VERTEC system, and the loudspeaker system had to be very intelligible over extreme distances," observed Colin Loock, Technical Director for LP Unlimited. "Going into the event, we at first thought it would be a challenge to provide live-music sound reinforcement for so many people with only 60 high/mid boxes, for an official audience tally that ended up being 71,280 persons on show day. We needn’t have worried. During setup, JBL's new V4 DSP presets made it very easy for us. And we immediately discovered that our new VT4889-1's have a very detailed high/mid section that complements its rich, present low end with the two 15-inch drivers. We were also very surprised about the strong low frequency performance that we achieved with the VT4880 subwoofers in an outdoor stadium application, with headroom to spare. As things turned out, we had quite a lot of headroom left on the VT4889-1's as well, even running at concert levels when the band performed. The VERTEC rig performed exceedingly well and beyond our expectations." Dale Hanson took time off the road to handle eight different acts at The Bedford in London and mixed the evening away on a Soundcraft Si3-its first public, commercial gig. Along with the other Si3 beta testers covering theatre, touring and house of worship applications in Europe and the USA, Dale has taken the Si3 through its test paces but this gig was the ultimate beta test! In typical pro fashion, Dale was calm and collected. "The show was a bit like live TV with eight acts performing a couple of songs each during the evening without any change over time at all really. Not many digital consoles can cope with that type of challenge but the Si3 worked really well. I found that you can use so many different functions at the same time to be really useful. Having control of EQ, Dynamics, Bus Sends and Effects without having to reassign anything was great." The Si3 is Soundcraft's latest 'mid range' addition to its growing digital family. It follows the Studer Vista 5 SR (Tours including: Celine Dion, Rascal Flatts, Billy Joel, Katie Melua, Keith Urban) and both Soundcraft Vi6 and Vi4, which were just announced with upgrades to 96 and 72 inputs to mix at PLASA (Tours: Bob Dylan, The Feeling, Deep Purple, Diana Krall and Rufus Wainright). Very analogue in feel, the Si3 follows the company's digital operational philosophy of 'where you look is where you control' established by Studer on the Vista and OnAir ranges and continued on the Soundcraft Vi Series. Soundcraft has eliminated the need for a large, central screen and instead put the information screens right where you went them; next to the controls. Shears adds, "This console is perfect for users growing out of their smaller digital consoles and looking to upgrade at a sensible price and especially suitable for current analogue users who haven't yet made that switch. That's why we've designed the user interface to be so 'analogue familiar.’ Basically, just take your analogue console out and drop the Si3 in it's place - simple!" "The pre amps sounded really nice and had plenty of headroom,” Hanson adds. “I found that I needed minimal EQ on the night, which is always a good sign. The dynamics were easy-to-use and sounded smooth. I particularly liked the Lexicon reverbs, as they sounded great. The fact that the FX returns appear as normal channels is also great as I could easily send one effect into another; for example; very analogue!" "It was a great feeling to see the Si3 go through its paces in a real life situation," said Shears. "We'll be running a series of Si3 gigs to provide engineers the chance to come and play with it after the launch at PLASA." Phoenix College prides itself on being the technology flagship for the entire Maricopa Community College District in Arizona – the single largest community college system in the United States and one of the largest in the world, with 10 colleges, two skill centers and numerous other education centers. Underscoring the media department’s mission of “continuously seeking out and implementing, dynamic, innovative leading educational technology,” Phoenix College has consistently turned to Hitachi, the leader in educational AV systems design, for its StarBoard interactive presentation system. In fact, this year, Phoenix College purchased 17 additional Hitachi T-17SXL StarBoard StarTablets through Phoenix based Troxell Communications, bringing the total number of Hitachi StarBoard systems used at the College to 101, including several 15-inch StarBoard models. 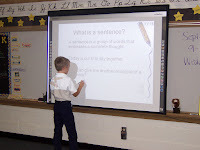 For an educational institution at the cutting edge of technology and one that offers its programs via distance learning online as well as in the traditional classroom, the T-17SXL StarBoard StarTablet is an indispensable educational and communications tool. Hitachi’s software allows conferencing among up to 42 sites or student workstations with character recognition software to run applications with freehand writing and object recognition software that converts freehand geometric objects, such as circles and triangles, to smooth drafting quality geometric objects. In a demonstration of the power and versatility of JBL VERTEC® line arrays before a national audience, PRG Audio has provided the live sound reinforcement for NBC’s “Toyota Concert Series On TODAY,” airing throughout the summer on the network’s TODAY Show. This year, the Concert Series has featured performances by Alicia Keys, Sheryl Crow, Miley Cyrus and many more. The most recent Concert Series segment on August 29 featured performances by the Pussycat Dolls (“When I Grow Up”) and Katy Perry (“I Kissed A Girl”). The powered compact speaker systems feature JBL’s DrivePack® technology, a fully integrated power and DSP electronics package designed in cooperation with sister Harman companies Crown and dbx. The VT4881ADP subwoofer houses JBL’s new 2269G Ultra-Long-Excursion 460mm (18-inch) woofer. All loudspeakers include optional DPAN (DrivePack Analog) input modules that add remote control and monitoring capabilities with Harman’s HiQnet™ System Architect software. “Having the Crown power built into each speaker in the line arrays gives us more control over the system and eliminates one more step in the signal chain,” Rendon said. JBL Professional is a unit of Harman International Industries, Incorporated (www.harman.com). Strengthening its commitment to meet the needs of religious trade resellers across the United States, Periscope® today announced the appointment of Dove Sales, a unit of the Omco/LaSalle Company, Inc. of South Bend, Indiana, to serve as the exclusive channel sales rep firm for the entire Periscope® Book Light in a Bookcover™ product line. Periscope’s patented LED Book Light in a Bookcover is easy to use and only requires three AA batteries rather than clunky cords, wires or plugs. The bright LED book light is stored in the spine of the book cover, protecting the book you are reading while making it impossible to forget the book light. The Periscope Book Light in a Bookcover lets you read what you want where you want in all types of low-light reading environments —while protecting your reading privacy. Both the hardcover and paperback models feature a LED book light, a book cover, and a bookmark in a single lightweight unit. Unlike other reading lights, the Periscope book light is always with the book you are reading! Readers never have to search for or carry a separate light for the hardcover or paperback book they’re reading. Simply slip the book into the Periscope book cover (there are separate covers for hardcover and mass market paperback books), pull up the retractable light that’s stored in the spine of the book cover and start reading in all low light environments! The Periscope adjustable twin, wide-angle LED light automatically turns on when the arm is extended and shuts off when collapsed into the cover. What’s more, because the light is totally adjustable, readers can put the reading light precisely where they want it for maximum reading comfort. And, because Periscope is battery powered by three AA batteries that deliver over 40 hours of continuous light, there are no cords or plugs to worry about. The Periscope paperback Book Light in a Bookcover fits all mass market sized soft cover books and carries a suggested retail price of $34.95. The Periscope hardcover Book Light in a Bookcover carries a suggested retail price of only $39.95 and accommodates best-seller hardcover, trade paperbacks, and Bibles. Both models come with a built-in bookmark and inside pockets to hold tickets or other travel documents. A mini travel AC adapter is available for both models for a suggested retail price of $14.95. Religious trade resellers interested in learning more about carrying the product line should contact Robert Cramer, Dove Sales, 4315 Ralph Jones Court, South Bend, Indiana 46628; 1.800.253.8144. Robert Cramer can be reached by email at rcramer@com-ctr.com. For more information about the entire Periscope product line, visit www.periscopelight.com. Andre’ Cholmondeley, best known as a guitarist for Zappa-repertoire band Project/Object, has distinguished himself by his uniquely versatile approach to the instrument. As such, Cholmondeley regards technology as a very crucial extension of his guitar. This attitude led Cholmondeley to the Eventide TimeFactor stompbox, which he has incorporated into his sound for the studio and on the road. As guitar-tech for experimental guitar icon Adrian Belew, and formerly Al DiMeola, Cholmondeley has worked with most of the top delay and effects devices available. Utilizing the TimeFactor’s stereo input and output, Cholmondeley runs his guitar through two amplifiers. “Since Delicious is a trio, I need to fill up a lot of space and the TimeFactor gives me a real nice wash of sound,” he said. 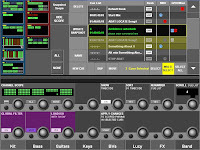 About Eventide Founded in 1971 in New York City, Eventide is a leading developer and manufacturer of digital audio processing products for recording, broadcast, and live performance. Headquartered in Little Ferry, NJ, Eventide invented the H910, the first Harmonizer effects processor in 1975, and introduced the H3000 Ultra-Harmonizer effects processor in 1987. Visit Eventide online at eventide.com. Eventide and Harmonizer are registered trademarks of Eventide Inc.
As PLASA08 gears up to showcase the latest innovations in audio technology, JBL Professional’s VERTEC® series now offers the most comprehensive set of line array solutions for tour sound and performance-venue applications. With the introduction of the VERTEC VT4889ADP Powered Fullsize Line Array Element and the companion VT4880ADP Ultra Long Excursion Arrayable Subwoofer earlier this year, all size categories in the VERTEC line--compact, midsize and fullsize--are now optionally available with JBL’s DrivePack® electronic modules featuring multiple combinations of Crown amplification, dbx digital signal processing and HiQnet™ remote control and monitoring. Since its introduction, VERTEC has become established as a worldwide industry standard for line array systems, thanks to the series’ optimal combination of high output power, premium fidelity, light weight and easy setup. The VERTEC series offers a comprehensive range of models combining JBL’s legendary sound quality with the most advanced component transducers and enclosure technology available. Further extending VERTEC’s range of options, each model is now available as an integrally-powered system, using the company’s exclusive JBL DrivePack technology. In addition to onboard amplification, these “DP” versions feature dbx input modules to implement crossovers, equalization, time alignment and protection for the speaker system. The standard DPIP input module features analog audio inputs and sophisticated onboard digital signal processing technology. Precision bandpass limiting, pre-equalization filters and automatic self-test functions ensure optimized performance. Additionally, the optional DPAN (DrivePack Analog) modules add networking functionality and HiQnet compatibility via Harman’s System Architect software for remote control and monitoring. The optional DPCN (CobraNet™-compatible) input module offers the ability to combine digital audio and control on a single CAT5 cable. Powering a sound system for a concert with screaming fans is never an easy task. Powering a sound system with screaming fans and dozens of motorcycle engines revving at the Red Bull X-Fighters Motocross in Rio de Janeiro, Brazil is even more difficult. Showcasing the power and sound quality of Crown’s I-Tech amplifiers, Brazilian sound reinforcement company, Loudness Sonorização selected 60 Crown I-Tech amps to power a JBL line array loudspeaker system for the motocross event in Rio. This one day event highlights riders from around the world, while they perform dare-devil stunts for cheering fans, all the while, their motorcycle engines revving and quickly throttling up to build up the speed necessary to launch themselves 30, 40 or even 50 feet in the air. “When we selected Crown’s I-Tech line, we knew that these amps would not only be able to deliver the power necessary to overcome the incredible sound of the motorcycles, but the clarity to allow the fans to hear the announcements,” said Márcio Pilot, Director of Loudness Sonorização. For the event Loudness Sonorização provided 48 Crown IT-8000 and 12 Crown IT-4000 amplifiers. They powered JBL VERTEC VT4889 loudspeakers. Pilot chose the Crown Amplifiers for sound quality, internal DSP, reliability, and ease of installation. “Crown is recognized worldwide as the best amplifiers you can buy for sound reinforcement, tour sound and fixed installations,” stated Pilot. Available in I-T4000, I-T6000 and I-T8000 iterations, the Harman HiQnet™-compatible I-Tech family has become the tour sound professional’s de-facto standard amplifier by matching unsurpassed Class-I power, light weight and ease of use. Onboard DSP provides a wide array of signal processing functionality, significantly reducing the need for rack components and rack wiring. Onboard DSP features 24- bit, 96 kHz A/D and D/A converters that reduce DSP noise for studio-quality processing and quieter overall performance. I-Tech features peak voltage and RMS power limiting for speaker protection and global power supply to deliver maximum power worldwide! The model boasts a front panel LCD for diagnostics and preset selection, ensuring fast and easy system setup but also front panel lockout for enhanced safety. The Control Contractor 40 Series adds five premium models to JBL’s industry-leading lineup of in-ceiling loudspeakers. At PLASA08, JBL Professional is extending its category-leading Control® Contractor Series loudspeakers to an even wider variety of applications with the new Control Contractor 40 Series premium in-ceiling specialty loudspeakers. Several of the models incorporate JBL’s breakthrough conical Radiation Boundary Integrator® (RBI™) technology, providing exceptionally broad and consistent pattern control with superior sonic performance. Designed to be the systems integrator’s go-to speaker line for a wide variety of everyday applications, the Control Contractor 40 Series encompasses five new models, with three of the models—the Control 47C/T, Control 47LP and Control 47HC—incorporating JBL’s proprietary Conical Radiation Boundary Integrator (RBI), adapted from JBL’s groundbreaking VERTEC® series line array loudspeakers. This unique innovation combines a large-diameter, high-frequency waveguide and low-frequency projection apertures that work together to provide extremely consistent pattern control and coverage. Rounding out the new Control Contractor 40 Series lineup are the Control 40CS/T, a subwoofer with built-in passive crossover, and the Control 42C, an ultra-compact, in-ceiling satellite speaker. The Control 47LP low-profile model provides the same great sound character and 120-degree coverage, but in a package that is only 134 mm (5.3 inches) deep, for locations with minimal ceiling clearance. The Control 47LP can be intermixed with the Control 47C/T for use in areas where ceiling access is shallow, or it can be used as the primary speaker in applications that either do not require the extended bass of the Control 47C/T or where a separate subwoofer will be utilized. The Control 47HC narrow-coverage, high-ceiling model is designed for use in applications requiring narrow, focused coverage, such as venues with highly reflective surfaces or in high-ceiling applications. The narrow coverage is well-controlled over a wide bandwidth, resulting in clearer sound and improved intelligibility in spaces with high reverberation by directing the sound more precisely to a specified listening area while minimizing “over-splash” into adjacent areas or walls that could otherwise overexcite the space’s reverberation. The Control 42C ultra-compact, satellite speaker utilizes a 60 mm (2.5 inch) driver that produces a smooth frequency response in a very small, visually unobtrusive size. 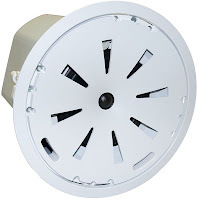 Intended for use with the Control 40CS/T subwoofer to form a full-bandwidth system, the Control 42C speaker allows coverage of an extremely large floor space from a small “sub-sat” system. The Control 40CS/T compact subwoofer, incorporating a powerful 200 mm (8 inch) driver, can add substantial low-frequency reinforcement to any in-ceiling sound system. The integral passive crossover network is optimized for use with two or four Control 42C satellite speakers, forming an extremely high-fidelity “sub-sat” system. The Control 40CS/T can be driven either from a low-impedance amplifier or from a 70V/100V distributed speaker line, and the multi-tap transformer allows separate volume adjustment of multiple sub-sat systems driven from the same 70V/100V line. The Control Contractor 40 Series adds five new premium in-ceiling loudspeakers to JBL Professional’s lineup of in-ceiling speakers, which also includes a broad selection of in-ceiling small-format models, Control 200 Series medium-format models, and Control 300 Series large-format in-ceiling speakers. 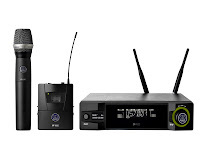 AKG Acoustics is showcasing the recently released wireless WMS 4500 microphone system at PLASA08, which offers improved audio capabilities versatile enough to handle multiple users and multi-channel applications simultaneously. Like its predecessor, the WMS 4000, the WMS 4500 offers a wide range of available components for operational adaptability and has been modified for greater durability and flexibility with accompanying wireless applications. The WMS 4500 is available in two new frequency bands: Band 7 (500-530 MHz) and Band 8 (570-600 MHz) that offer more options for multi-channel systems in today's crowded RF environment. The system’s components consist of the SR4500 receiver unit, the PT4500 emitter, and the HT4500 handheld microphone unit offering new features and sleek new construction. The SR4500 receiver unit features an adjustable backlight setting, a factory reset, modified presets and the elegant new casing displays a stylish stage black finish. The receiver’s internal software features AutoSetup for inter-modulation free channel selection, EnvironmentScan settings for RF range scanning, and a RehearsalMode selection, which can be used to save system data during rehearsal set-up. Important settings like squelch threshold, carrier frequency selection, and the listed user name can be edited and stored with an easy-to-use menu. The PT4500 emitter has also been redesigned with enhanced durability that protects the system from years of rigorous stage use. The major electronic components are enclosed in a metal casing for protection. The PT4500 bodypack accepts both microphone and line-level input signals as well as adjustable input sensitivity. A lockable TA-3F Mini-XLR attachment easily connects with a broad range of AKG headsets, lavalieres, instrument microphones and instrument cables. The HT4500 handheld transmitter also features an updated metal casing with a stage black finish that allows for interchangeable microphone modules to be removed and switched to meet any vocalist’s needs. Models available for the WMS 4500 system include the D5, D3700, D3800, C5900, C5, and C535 EB, as well as the new D7. The WMS 4500 can be integrated into a Harman HiQnet™ system using the optional HUB 4000 Q. With the System Architect™ software, the WMS 4500 can be configured, controlled, and monitored remotely from a PC. System Architect makes frequency management incredibly easy with tools like RF Monitor, Device Manager, Environment Scan and Auto Setup. The Control 2P Compact Powered Reference Monitor is ideal for a broad range of applications in broadcast, desktop audio production and commercial audio installations. Delivering a powerful, accurate, yet affordable reference monitor for a variety of environments, JBL Professional is introducing the Control® 2P Compact Powered Reference Monitor at PLASA08. The Control 2P is a 5-inch two-way powered stereo system with accuracy and features required for professional broadcast and desktop production applications. Mounting capability and compact format make the Control 2P ideal for small fixed install applications and portable presentation systems. The Control 2P is based on the platform of its legendary predecessor, the Control 1 Pro, utilizing the same studio-quality transducers and crossover, while incorporating internal amplification and features for professional audio production and installation. The system includes two speakers, one of which incorporates power amplification and user controls for itself and the connected passive speaker. Snap-on pedestals are included to optimize the listening angle for desktop production applications. The Control 2P loudspeaker can be utilized as a professional reference monitor, adding full, accurate sound to desktop audio/video production systems at a price comparable to that of a pair of computer speakers. The Control 2P offers high output and impressive low frequency for its size, providing the performance needed when working with unprocessed music tracks and audio signals. The Control 2P also incorporates convenient features for professional desktop production including: a headphone jack; side-mounted large volume control, which simultaneously controls the left and right speakers; an internal peak limiter that protects the system from damage caused by continuous overdriving; and an overload protection system with an LED indicator. A high-frequency contour control allows the user to tailor high-frequency response to application requirements. Included snap-on pedestals elevate the front of each Control 2P speaker to optimize the listening angle in desktop applications. With impressive output and accuracy in a compact form-factor, the Control 2P is the ideal utility monitor for the professional broadcast environment. The Control 2P offers excellent acoustic attributes, with linear frequency response and impressive low-frequency performance. Integrating the high-sensitivity Control 2P transducers and a 35 watt-per-channel amplifier, the system boasts remarkable peak output. Meeting the needs of broadcasters, the Control 2P includes magnetically shielded transducers for use near magnetically sensitive equipment, and balanced XLR inputs that allow connection to professional recording and broadcast equipment. Integrated mounting capability and an optional mounting kit allow the system to be wall mounted in broadcast facilities. “The Control 2P provides broadcasters with a more affordable, higher-performance system than previously available, making it ideal for use in control rooms and mobile systems,” Chaikin added. Small conference rooms and portable presentation systems can now benefit from high output and JBL fidelity at an unprecedented price point. The light weight and portability of the system allows the Control 2P to be easily transported in a shoulder bag, along with a portable projector and laptop. The Control 2P features unbalanced RCA inputs for connection to consumer-level devices including projector outputs, CD players, computers and personal music playback systems. For fixed installation applications, the Control 2P is wall-mount capable with an optional mounting kit. The Control 2P system (Model C2PS) includes one powered “master” speaker, one passive extension speaker, and power supply, for US$249.00 MSRP. The Control 2P powered Master speaker is also available separately (Model C2PM) with a power supply for US$189.00 MSRP. The optional MTC-2P Mounting Kit contains two wall-mount brackets and a power supply holster, for US$25.00 MSRP. In another example of the worldwide movement by audio professionals towards complete sound systems comprised exclusively of Harman Professional components, Oktoberfest 2008, which takes place in Munich later this month, features four major tents equipped with audio technologies from Crown Audio, Soundcraft, JBL Professional, AKG and BSS Audio. The systems for the Hacker, Weinzelt, Armbrustschützen and Löwenbräu tents are provided by Max Ihm and Andreas Wallisch of LUTV (www.lutv.de) of Forstinning on the outskirts of Munich. At the Löwenbräu tent 12 JBL Professional VERTEC® VT4887 compact line array elements and eight JBL Professional P744 1x18" subwoofers will be powered by eight Crown I-Tech IT4000 Series amplifiers with mixing by a 48-channel Soundcraft Series 4 console and processing by BSS Soundweb 9088 networked signal processor. Four JBL Professional SRX712M monitor wedges will be joined onstage with a battery of AKG microphones. At the neighboring Armbrustschützen tent, a similar loudspeaker lineup of 12 JBL Professional VT4887 compact line array elements, eight JBL P744 subwoofers and four JBL SRX712M monitor wedges are powered by eight Crown CTs3000 amplifiers equipped with eight Crown PIP USP3 cards. In this instance, longtime-Oktoberfest sound system suppliers, LUTV, elected to use a 40 channel Soundcraft GB8 mixing board and again reverted to the BSS Soundweb 9088 for processing. Here also, AKG microphones will be used for instrument and vocal use. The system employed at the Hacker tent comprises 18 JBL Professional VERTEC VT4887 line array elements at its core with six JBL P744 subwoofers providing the low end. Ihm and Wallisch deployed 12 Crown MacroTech MA5002Vz outfitted with 12 Crown PIP USP3 cards communicating with a BSS Soundweb 9088 networked signal processor. AKG microphones will also be featured onstage for instruments and singers of the traditional Bavarian folk performers that, together with the beer and the crowds, have made Oktoberfest such a unique and fun event. The Weinzelt tent will also feature components from JBL Professional, Crown, BSS Audio and AKG, though details are being finalized. Andreas Wallisch agrees: "Our customers and we have high expectations regarding the performance of PA systems. 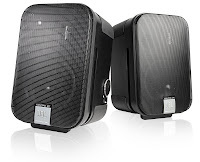 JBL speakers like VERTEC meet and surpass our sophisticated quality standards." The Soundcraft® Si3 project – The Next Step In Our Strategy. For any Business leader, one of the most thrilling experiences is to reshape a good business into a great one. That’s very much the challenge my team and I took on when I joined Harman a little under six years ago as President of Soundcraft. At the time we were a well-respected manufacturer of very good analogue consoles, ranging from the small, 4 channel Spirit Notepad up to the flagship touring desks, the Soundcraft Series 5 and MH series. But our markets were changing, demands for new digital technology was increasing, offshore manufacturing was in transition, and the economic dominos started to wobble all around the world. We faced the same challenges that so many technology-based businesses face: ‘change or die’ – so over the following few months we developed a strategic ten year roadmap and set ourselves an aggressive target of remodelling every part of our business in order to compete with the very best digital technologies emerging in our markets, and our parent company, Harman International, backed us all the way. Our first step was to merge with our sister-console company Studer, based in Regensdorf, Switzerland. That marriage brought together the best live-sound brains at Soundcraft, Potters Bar near London and the best digital console brains in the business at Studer. Not without our own internal challenges, we started to work together. We had to combine Marketing and Product Management spanning Potters Bar and Regensdorf in order to deliver specifications that benefited from the expertise in both camps, then Production and all the other functions necessary to deliver new products. Within two years, we launched the Vi Series, now riding high on many of the worlds biggest tours including Deep Purple, Bob Dylan and Diana Krall and installed in some of the most prestigious theatres and broadcast studios around the world. A year later the Studer Vista 5 SR launched and was immediately placed on tour with global acts including Celine Dion, Billy Joel and Rascal Flatts. Now another year on we’re rolling out the next phase of our digital strategy, the Soundcraft Si3 which follows hotly on the heels of the hugely successful Vista 5 SR and Vi Series in our live sound range. Although users will see lots of similar design cues across these families, there are differing levels of technology under the bonnet in order to meet differing price points, but there are two things they all have in common, and it’s something we pride ourselves in being world leaders in – sound quality and ‘Mix Ergonomics’, the whole science and development of advanced user interfaces..
‘Mix Ergonomics’ is something that is common across all our range from the smallest Soundcraft analogue mixer, to the most advanced Vista 8 from Studer; at any new product meeting we always insist that the ‘user experience’ HAS to be the best a customer can expect and that it makes his or her job, to deliver great audio, easier, faster and more enjoyable. Whilst the advantages of the Vistonics™ user interface employed on the Vista and Vi Series has been well documented, the Si3 approaches the market with some new twists. First of all, this is a console! That may sound a strange statement to make when it’s pretty obvious what it is, but pre-launch visitors have made this comment, expressing delight that at last someone has brought in a mid-range priced desk, complete with a large amount of integral I/O and new features, that looks and feels EXACTLY like an analogue user interface … here’s the new enhancements. Firstly, we’ve used Soundcraft FaderGlow™, the same as we use on the high-end Vi6 and Vi4 enabling the engineer to, at the glance of an eye, see exactly which faders are in which mode through a colour-coded, illuminated display located within the fader track. Secondly, we’ve used what we call Distributed Display Technology to emulate the ‘where you see is where you control’ philosophy pioneered by Studer on radio and TV broadcast consoles. Through ultra-high definition OLED displays, located right at each channel, we’ve been able to eliminate the need for a large central touch screen which takes the operators attention away from the control surface, and provided local information sources instead and a small touch screen which exists for console management, cue-lists, labeling etc. Thirdly, we’ve revisited and enhanced a much-loved feature our customers urged us to re-use, it’s what we call VCS (Virtual Control Strip) as used on our ground-breaking Spirit 328 and 324 digital consoles, and made it even easier for the operator to use. And all this is based on a proprietary technology platform that we’ve developed specifically optimized for mixing, we call it EMMA (Embedded Multi-processor Mixing Architecture), there’s more on this in the Technology appendix, but in short, it’s a hugely powerful, flexible, configurable DSP engine that provides 80 audio processing channels with ultra-low latency offering us the option to deliver variants of the Si3 based on the same platform. But we’ve not been blind to the fact that sometimes a ‘not quite so new’ previous design may be the best around, so we’ve built in the industry renowned GB30 mic pre-amps, developed by our founder and Technical Director Graham Blyth, to deliver that ‘Soundcraft sound’. So, back to the strategy. We’re now a very different business to what we were five or six years ago. One organisation, with a single goal, delivered under the Harman family through two of the finest brands in the audio world; Soundcraft and Studer. We have projects currently engaged on researching and developing new digital mixing solutions at every key price point across all our markets. I’d like to say it’s been a great journey, but that suggests we’ve arrived at our destination - and we’re not even halfway there - remember that ten year plan I mentioned at the beginning? Well it’s still a ten year plan, just rolled on a few years. We’re now looking at technologies no one could have dreamed of at the start of this journey…. Just watch this space! 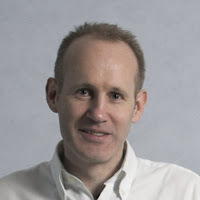 Andy Trott is President of Soundcraft and Studer, part of Harman International. Andy holds a Bachelor of Science degree in Electronics. He’s a self-confessed Beatles addict, a keen guitar player, songwriter and home recordist. The 8100 Series features 4-inch and 8-inch models, providing cost-effective solutions for commercial applications. Offering cost-effective solutions combined with ease of installation and elegant styling, JBL Professional is introducing the new 8100 Series ceiling speakers at PLASA08. The 8100 Series are full-range in-ceiling loudspeakers with high sensitivity, low distortion, and smooth frequency response. The 8100 Series lineup includes two models: the 8124, a 4-inch loudspeaker with extremely wide coverage; and the 8128, an 8-inch loudspeaker that offers extended bass response and higher SPL output. Both speakers feature high sensitivity for maximum system efficiency and excellent full-range response, making them ideal for small to medium background music systems. Low-saturation transformers with taps as low as 0.75 Watts allow the use of many speakers on 70V/100V distributed loudspeaker system lines. The 8100 Series are “open-back” ceiling speakers with pre-attached dog-ears, offering an affordable solution for commercial applications that do not require backcans. An elegant design featuring a sculpted grille provides a stylish look that fits into a wide variety of decors. Reaffirming its commitment to advance HiQnet System Architect™ as the most progressive, versatile and user-intuitive interface for system configuration and control, Harman Professional today gives System Architect Version 1.8 its European debut at PLASA’08. New advances include the ability to copy HiQnet parameter strings directly to the Windows clipboard for pasting into third-party control interface applications enabling system-wide control from control interfaces such as those manufactured by AMX and Crestron. System-wide events can now also be triggered from device-specific error conditions, such as recalling a preset for a zone based on the conditions of individual amplifiers. A user-definable selection of controls can be automatically readdressed to different devices/parameters on a Custom Control Panel in a few simple steps, and advanced zonal control is now possible. A Fast Meter control has been added for improved meter response and device synchronization has been simplified and improved. New to System Architect in Version 1.8 is the new Region Control, which enables systems integrators to draw a planagram of a building and set zone to warn of variable conditions on a Custom Control Panel. Additionally, the control acts as a button, enabling up to 10 system functions to be called – an improvement, which has also been added to the existing System Button control. An automatic login option enables the integrator to provide login-free access to a control-only instance of System Architect left behind for day-to-day operators, continuing to hide away elements of the system design as before, but removing the need for individuals to remember user-names and passwords. Version 1.8 also features improved performance to the multi-parameter fader with larger numbers of parameters capable of now being assigned. Focused on providing all students with increased technology in the classroom at St. John the Baptist School, their 3rd annual golf tournament was dedicated to raising money for the purchase of additional Hitachi StarBoard interactive whiteboards. St. John the Baptist School in Excelsior, Minnesota put the Hitachi StarBoard FX Duo 77 to the test. Beginning with the purchase of one 77-inch Hitachi Starboard and another competitive model, St. John’s wanted to decide which one would be the right choice for implementation across the entire school. St. John the Baptist now has over ten Hitachi FX Duo 77 boards in the school and has also purchased the award winning Hitachi CP-A100 ultra short-throw projector for one of the classrooms, all purchased through Phoenix based Troxell Communications. According to Moch, the investment in Hitachi Starboards has already paid off--teachers that usually tutor students offsite in the summer have instead been able to utilize the StarBoards at school. In a microphone introduction that brings stadium quality performance to smaller venues at a lower price, AKG Acoustics displays the professional qualities of the D7 vocal microphone at PLASA08 in London. Similarly to its predecessor, the D5, AKG’s D7 is a dynamic microphone that delivers incredibly clear sound for lead and backing vocals for live sound applications. The D7 additionally features an improved capsule design that contains a humbucking coil and a high-pass filter along with a sleek redesigned look. The D7 ensures pure vocal sound by reducing electrical interference and stage feedback. Also featured is an integrated high-pass filter that eliminates low frequencies, reduces handling noise, and provides superior audio clarity. The result is a higher-quality microphone that offers complete control for singers and announcers ensuring a quality audio experience for audiences. “PLASA is a great opportunity for us to showcase the D7 along with all of its advantages and upgrades. Since the release at InfoComm, the D7 has been featured by famous recording artists and utilized in popular venues and we look forward to showcasing this great product at PLASA,” states Alfred Reinprecht, Vice President of Marketing for AKG. AKG released the D7 to build upon the success of the D5 microphone. In doing so, the D7 microphone’s performance and reliability is one of the finest in today’s professional sound industry. The D7’s new Laminated Varimotion diaphragm delivers high-end sonic performance by allowing the diaphragm to be fine-tuned without extra tuning resonators. This represents a competitive advancement in audio quality and performance. “The D7 microphone is one of the greatest microphones in the industry for vocals, and we are very pleased with the amount of positive attention that it is receiving. We are dedicated to providing an industry leading microphone with superior quality and performance,” added Reinprecht. The D7’s response evokes the subtle, open sound of a condenser microphone, while maintaining the rugged reliability of a dynamic microphone. It is equipped with a carrying case, mounting clamp, and a replacement windscreen, ensuring long life for the microphone. Two additional models are also available: the D7-S, which features an on/off switch; and the D7-WL1 microphone capsule for use with AKG wireless systems. Sirius Showequipment AG provided Audio Analysts with sound reinforcement system for European leg of tour. Taking advantage of the power and flexibility of Crown’s I-Tech Series amplifiers, Sirius Showequipment AG of Niederdorfelden, Germany provided Audio Analysts with over 100 of Crown’s I-Tech amplifiers for use on the Bruce Springsteen tour throughout Europe, while Audio Analysts also provided Crown I-Tech amplifiers on the North American portion of the tour. The amplifiers powered JBL VerTec VT4889 and VT4887 line array elements and JBL VT4880 arrayable subwoofers. Springsteen’s tour began in Hartford, Connecticut on February 28, making 29 stops throughout North America before a 12-country tour in Europe. The tour returned to Springsteen’s home state of New Jersey for three performances at Giants Stadium in East Rutherford on July 27, 28 and 29, where with the help of his fans, Springsteen belted out classics including “Out In The Street”, “No Surrender”, “Thunder Road”, “Born to Run” and “Glory Days.” The final show took place in Milwaukee, Wisconsin on August 30. The I-Tech amplifiers feature advanced DSP processing which was used for additional adjustment of the JBL arrays. With the built-in LCD screen on the front panel, basic features and amplifier status can be accessed from the amplifier’s location. Additionally, the added convenience of HiQnet networking allows a front of house or monitor engineer to easily monitor an amplifiers status from their location. Crown is a unit of Harman International Industries, Incorporated (www.harman.com). The new white VRX928LA-WH and VRX915S-WH loudspeakers offer system integrators even more design options for environments where aesthetics are a priority. Bringing more options to installers wishing to visually integrate their audio systems into a variety of environments, JBL Professional is now offering its VRX928LA-WH compact, portable line array loudspeaker and VRX915S-WH subwoofer in a white installation version. The development of the popular VRX928LA and VRX915S systems in a white version is the result of feedback from systems designers and integrators, who must consider the visual element of a sound system for environments ranging from houses of worship to civic facilities. The VRX928LA-WH and VRX915S-WH models were designed specifically for permanent installations and build on the success of the VRX series, which brings the proven versatility of the JBL VERTEC® series line array to mid-sized venues and portable applications. The VRX928LA-WH is a lightweight, compact, 8-inch, 2-way, 400-watt line array loudspeaker system that provides line array performance in smaller applications that do not require the long-throw characteristics of its larger, hugely successful sibling, the VRX932LA. The VRX928LA-WH may be flown in arrays of up to six and integral rigging hardware is used to securely lock the array together. The companion subwoofer VRX915S-WH features a 15-inch, 800-watt direct radiating woofer. It has been designed to seamlessly integrate with the VRX928LA-WH and as such supports the same built-in rigging for efficient, simple and secure installation. In yet another example of how Harman Professional audio technologies are consistently selected by leading audio professionals for the most demanding, high-profile entertainment, sporting and political events, the company today announced that its JBL VERTEC® line array loudspeakers are being deployed by ATK Audiotek for the Republican National Convention, that took place at the Xcel Energy Center in St. Paul, Minnesota from September 1-4. The convention, which featured major speeches by party leaders and luminaries including President George W. Bush, U.S. Senator Joe Lieberman, Governor Arnold Schwarzenegger of California, Major General Rick Goddard of the U.S. Air Force (ret) and U.S. Senate Republican Leader Mitch McConnell, among others, culminated with a major speech by Republican Presidential candidate, Senator John McCain. Sound system design and operations services for the convention was provided by Event Sound Designer and Chief Engineer Patrick Baltzell of Baltzell Audio Design. Baltzell has successfully specified JBL VERTEC line array loudspeakers for numerous high-profile events, including presidential inaugurations, political conventions and events of state, and he had no hesitation in specifying JBL once again. With a mission-critical task in hand and numerous high-profile political leaders to be heard from, Baltzell specified eight arrays of 12 JBL Professional VERTEC VT4889 large-format line array loudspeakers, with each array accompanied by one JBL VERTEC VT4880A arrayable subwoofer. The main reinforcement system is supplemented by 40 JBL VRX932LA constant-curvature line arrays and 13 VRX928LA ultra-portable line array speakers for additional VIP seating and area fill applications. August 30th saw the very first show with the new Soundcraft Vi Series V3.0 software in use as Norwegian band Secret Garden finished off this year’s tour with a special concert including a symphony orchestra. Secret Garden has been touring China, Korea and Norway since April with two Soundcraft Vi6 consoles and AKG microphones. The last concert of the tour was a special outdoor show incorporating a 27-piece symphony orchestra in the band’s hometown of Kristiansand, Norway. With the orchestra and nine musicians/singers on stage, the need for more than 64 channels was obvious. “When we planned this gig earlier this summer we aimed to use a third Vi6 for the orchestra, but the timing for a stable beta version of the new V3 software was perfect to make it possible to just add, a DSP card in the FOH local rack and a second stagebox to run the required 95 channels from one console,” reported Espen Andersen, Production Manager and Monitor engineer. The monitor console also ran the new V3.0 software, but with “only” 64 channels as it received four stereo mixes of the orchestra from Dag Stephen Solberg, who mixed the band and orchestra from FOH. The V3.0 software with the upgraded snapshot automation made it possible to add new channels and Aux sends to the existing show with extensive use of the scope and parameter-specific global filtering. The digital console that sets the standard for next generation user interface is now available in larger formats - “Engineers now have more power at their fingertips than ever before imaginable,” says Soundcraft & Studer President Andy Trott. In a series of introductions that will further extend the remarkable success of the Soundcraft Vi Series, Soundcraft today introduced 96 and 72 channel upgrades to the Vi6 and Vi4, respectively. According to Andy Trott, President Soundcraft and Studer, the new additions will make the Vi6 and Vi4 even more potent and versatile tools for front of house and monitor engineers in a vast array of tour and fixed install applications including large houses of worship. The input-to-mix expansion is part of the new V3.0 software release. Appreciated worldwide for its advanced Vistonics™ II user interface, the Soundcraft Vi Series provides engineers with a very intuitive operation via a touchscreen color TFT monitor with integral rotary controls and switches mounted on the glass that provide engineers with a unique 'where you look is where you control' working philosophy. The Vi Series is also known for its stunning sonic performance, boasting an impressive input-to-mix capacity of 64 or 48 channels, mapped out on 32 or 24 motorized faders for the Vi6 and Vi4 respectively. These can be assigned to 32 or 24 outputs (plus a stereo and mono mix) that can be any combination of group and aux buses. Up to 16 matrix outputs can be configured from the pool of buses. The Soundcraft Vi6 will now be available in 64 or 96 input models (the Vi4 having 48 or 72 inputs), while existing consoles can be upgraded with the purchase of an additional DSP card. The 96 channels to mix (for the Vi6) can then comprise the 64 stagebox mic/line inputs, the 16 line inputs on the local rack, and the eight stereo Lexicon effects returns. The ‘additional’ 32 inputs will be assigned to Fader Bank C on the surface. Alternatively a second stagebox can be added to bring in mic/line inputs from the stage to all 96 input channels. Through desk patching, the inputs can also encompass the 64 MADI channels, or 16 AES/EBU inputs. Further options are available for expanding the I/O to use additional remote stageboxes, or other audio formats. Another highly significant feature of the V3.0 upgrade is that the Vi4 will now be able to access all 35 output busses, with the addition of eight busses fixed in ‘Aux’ mode, and this feature does not require the additional DSP card. Further enhancements in the new V3.0 software include sophisticated snapshot filtering, which will be particularly welcomed by theatre users. In addition to the existing ISOLATE function where a channel may be isolated from snapshot recall, high-granularity filtering can now be applied both globally and on each snapshot, right down to individual parameter level (for example, a PAN setting or an individual Aux send). A completely revised Cue List Management suite now allows Apply Changes, where parameter changes can be applied to multiple snapshots, and cues can trigger or be triggered by MIDI or GPIO events, including MIDI Timecode. Harman’s HiQnet™ VENUE RECALL function is tightly integrated within this manager. Other new features in V3.0 include finer adjustment of input and output delay trims, and enhanced metering on the master bay which includes Gain Reduction metering. It is also now possible to import and export channel labels from and to spreadsheet files using a USB key. Needless to say, these powerful mix capacity and snapshot extensions are also available in the latest Virtual Vi software, so functionality can be tried and learned offline. The introduction of the Virtual Vi offline editor has proved extremely popular with engineers who are now able to set up their shows in advance, before simply downloading them to the console via a USB memory stick. The software has had extensive beta trials, and on August 30th, Norwegian band Secret Garden finished off this year’s tour with a special concert including a symphony orchestra using V3.0 software. The last concert of the tour was a special outdoor show incorporating a 27-piece symphony orchestra in the band’s hometown of Kristiansand, Norway. With the orchestra and nine musicians/singers on stage, Espen Andersen, Production Manager and Monitor Engineer, added a DSP card and a second stagebox to run the required 95 channels from one console. More information and a free download of the Virtual Vi software is available at www.soundcraftdigital.com. RG Jones Sound Engineering Expands Wimbledon’s BSS Audio Soundweb Digital Network For This year’s Championships With First Soundweb London New Family Members Installation. The All England Lawn Tennis & Croquet Club will once again look to the excellence of Royal Warrant Holders RG Jones to revamp the audio network at the home of the world-famous Wimbledon Tennis Championships. A major upgrade this year featuring configurable DSP and a 256-channel, low latency, fault tolerable digital audio bus, will coincide with the release of BSS Audio’s newest members to the Soundweb London Family. Prior to the 2002 Wimbledon Championships, RG Jones oversaw one of the largest deployments ever of BSS Audio’s Soundweb Original ‘Green’ series. In fact, Soundweb’s broadcast quality audio gave the BBC the confidence for the first time to use the media wall box feeds from RG Jones to supply many of the feeds required for The Championships. At the same time the BBC also chose to install a Soundweb in each of the No.1 Court and Centre Court scanner trucks, while further devices were installed in OSCAR, the audio and video distribution area where the BBC routes all the Court feeds to the international broadcasters. But the standard of signal quality, routing flexibility and processing power which so impressed the BBC six years ago has moved on considerably — and the timing of a further major upgrade this year (largely focused on the Centre Court redevelopment) coincided with the release of BSS Audio’s newest members to the Soundweb London family. These feature configurable DSP boasting four times the processing capability of existing Soundweb London devices and a 256-channel, low-latency, fault-tolerant digital audio bus, which works on Cat 5e or Cat 6 cable and allows an audio link between ‘BLU’ devices over distances of up to 100 meters, with the option of exceeding that distance via an off the shelf fiber media converter. The combination of the digital audio bus and increased DSP capability allows 128 x 128 matrices within individual devices and 128 x n matrices within a system. So back in March this year Harman Pro UK introduced RG Jones to the new Soundweb London devices, offering programming, installation and maintenance support. The biggest drawback was the time scale, as his team was simultaneously installing over 500 speakers and amp sources into the new look Centre Court. They still ensured that the new Soundweb system was fully soak tested over a two-week period at their HQ, prior to delivery. So how is the system designed? The matrix has been developed around three BLU-800 devices and 27 x BLU-160 devices. Mission control for the system is located in the Broadcast Centre PA room where the team monitors and controls the system on an intuitive HiQnet™ London Architect GUI developed largely by Duncan Owen, who worked on the 2002 refit, displayed on four large LCD displays. A mirrored control system is installed in the second ‘bunker’ – the Centre Court PA room. Each of the three PA rooms has a selection of processing racks housing the Soundweb London devices, and the original SW9088iis processors and SW9000iis hubs. The Soundwebs also interface to a Debentures function system, and press distribution system installed by RG Jones. One of the main roles of Soundweb London is to transmit site-wide announcements via the paging mics (there is no automated messaging). “Although the system does not fall under a full PA/VA system remit, the expectation is that it may well become necessary at some point.” The other key tasks for the Soundweb London system are virtual mixing of the umpire microphones on the local court audio systems, links with the broadcasters and distribution to the Press. Meanwhile the second phase of The All England Lawn Tennis and Croquet Club’s three-year plan to transform the Centre Court remains on schedule. After going roofless in 2007, Centre Court has assumed a more traditional look following the installation of the permanent non-moveable new roof. The seating capacity will increase by 1200 to 15,000 from 13,800, while the East and North stands have been fitted out with new leisure facilities. The final phase of the Centre Court project, including the installation of a retractable roof, will complete next year when the new No.2 Court will also come into use. “It’s been a very successful integration,” summarises RG Jones’ project manager. “ Our original aim had been simply to replicate the role of the Soundweb Original ‘Greens’ with the new Soundweb London ‘BLUs’ — but because it’s a much more powerful set-up we’ve improved on it considerably. There’s now a lot we can look at in terms of both fault monitoring and scheduling — specifically to check the health of the Soundweb network and later the amplifiers. Harman HiQnet is the world’s first connectivity and control protocol that integrates all product categories in the signal chain for professional audio systems of all types, size, and applications. Harman HiQnet no longer requires the user to manage multiple disparate operating systems or be responsible for programming individual signal processors, speaker controllers, wireless microphone systems, and mixing consoles. HiQnet was developed by the Harman Pro Group System Development and Integration Group (SDIG) a team of dedicated systems specialists based in Salt Lake City, Utah.